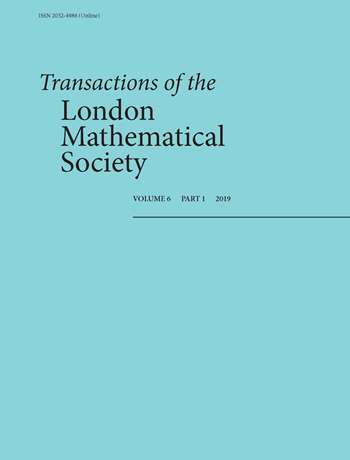 Who is the London Mathematical Society? What are the aims of the LMS MSDirectory? What is the purpose of the LMS MSDirectory? When does the LMS MSDirectory Go Live? How will the data on the LMS MSDirectory be maintained? How can I join the LMS? What Is My LMS MSDirectory Profile and How Did You Get My Information? What am I being asked to do with my information? What if I missed or didn’t receive the notification email? What if I don’t/didn’t respond by the deadline? How can I check, amend, add and/or remove my data? Who do I contact if I have problems when checking and updating my data? How can I opt out of the LMS MSDirectory? How can I control how much of my data is publicly viewable? Do I have to participate in the LMS MSDirectory? Who owns the data on the LMS MSDirectory/my data? Who owns the LMS MSDirectory? What does “Anonymised Data” mean? What is the Mathematical Sciences People Pipeline? How is the LMS MSDirectory protected against data mining? Who is currently listed on the LMS MSDirectory? How can I join the LMS MSDirectory? What is the membership criteria for the LMS MSDirectory? Do I need to be a LMS Member to join the LMS MSDirectory? What if I am already a LMS Member? What if I am not a LMS Member? Who can use the data in the LMS MSDirectory and what can they search on? What are the Uses of the LMS MSDirectory? What are the Prohibited Uses of the LMS MSDirectory? As a UK-wide learned society, the London Mathematical Society (LMS) is a registered UK Charity (no. 252660). Its purpose is the advancement, dissemination and promotion of mathematical knowledge, both nationally and internationally. To facilitate STEM networking across the UK mathematical sciences community. To facilitate STEM collaborative research between the mathematical sciences and other academic disciplines. To act as a central resource for current and potential internal and external partners to identify and make contact with UK mathematicians. 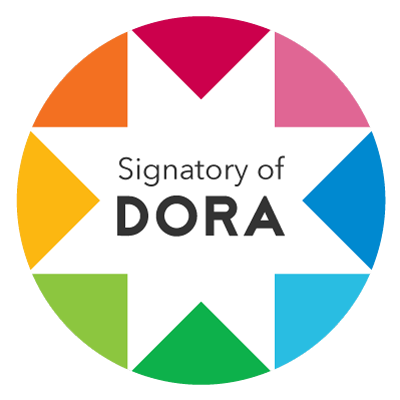 To be recognised and valued as the identified ‘home’ of the community for all mathematical scientists from undergraduate level onwards, in all academic and employment sectors, throughout the entirety of their career. To enable anonymised data gathering for analysis on matters with respect to the UK mathematical sciences people pipeline. Such data analysis would be used to prepare evidence-based reports to support the ongoing case for more appropriate levels of funding for mathematical sciences research and education. Such reports would be used in representing the mathematical sciences to national policymakers, funders, and other influential bodies with an interest in the mathematical sciences. To facilitate and develop engagement between mathematical sciences undergraduate, postgraduate and early career researcher communities. The purpose of the LMS MSDirectory is to facilitate communication between academic and postgraduate mathematical scientists and between them and others in industry, education, commerce and enterprise. It is designed to provide academics and professionals with a resource to locate experts and interested parties in any field for the advancement of mathematics and mathematicians. The detailed purposes can be found in the section “What are the aims of the LMS MSDirectory”. The LMS MSDirectory will not go live until all those currently listed have been contacted twice in addition to the initial notification They will be reminded to log on to the LMS MSDirectory to check their data, decide which data they wish to have in public view, or to opt out by the deadline on 18 April 2017. How will the data in the LMS MSDirectory be maintained? The value of the LMS MSDirectory will lie in the currency of the information it holds. Each year the LMS will email all LMS MSDirectory members asking them to check that their details are correct and that they are comfortable with their options for viewable fields as previously set. Changes to their entry can be made by LMS MSDirectory members at any point throughout the year but the annual reminder will occur with the aim of maintaining the overall currency of the information held in the LMS MSDirectory. About my data on the LMS MSDirectory. A MSDirectory profile has been set up for you based on information that has been gathered from sources in the public domain e.g. university web pages. This information was correct as of 31 March 2015. As a means of pre-populating the MSDirectory over 5,000 mathematicians were identified during the Society’s 150th Anniversary year in 2015 as working across a variety of disciplines in all UK institutions of higher education. To get you started, we have used information gathered from publicly available websites to create an initial profile for you to check and correct before the MSDirectory goes live. You can choose which data (if any) you would like to be publicly viewable in the search functions. You can also opt out of the MSDirectory entirely. a) Check your data and complete as desired, and decide which fields should be publicly viewable. b) Check your data and complete as desired, and decide to have none of your data made public but choose to remain on the Directory as a private member so that your data can be used in anonymised data collections (see Qs 17 & 18 about Data Ownership). c) Decide to opt out of the Directory completely. (NB for LMS Members, your details will still be kept on the system to manage your LMS Membership profiles). What if I miss or don’t receive the initial notification email? You will be contacted another two times to remind you to check your data on the LMS MSDirectory and whether you wish to opt out of the LMS MSDirectory before the intended Go Live date. Emails returned undelivered will be followed up by a hard copy letter sent in the post. If no response is received to this letter 30 days from sending then your data will be removed from the LMS MSDirectory. What if I don’t respond by the deadline? If no response is received to these emails and reminders before the GO LIVE date, it will be assumed that you are happy to be included in the LMS MSDirectory unless you tell us otherwise. NB you can opt-out at any point. It is hoped you and many other mathematicians will wish to be part of the LMS Mathematical Sciences Directory UK and will use it as a networking and collaborative resource. To log in and check your data, please go to: www.lms.ac.uk/user and follow the instructions onscreen. You will need your email address to log in. Once you are logged in you can view your profile under the “View” tab and make changes to each section by clicking the “Edit” tab and selecting “Your Profile”. Please do check, amend, add and remove data on your profile, as necessary. There are also a number of information buttons on particular fields, which provide some explanation as you go through your profile. You can control how much of your data is publicly viewable by selecting which fields you would like to remain private at the bottom of each page of your profile when you edit your profile. You can also be on the LMS MSDirectory and choose to have no data publicly viewable. If you do not wish your details to be publicly available, it is hoped that you would still choose to have a LMS MSDirectory Profile which could then be used as part of anonymised data gathering about the UK Mathematical Sciences People Pipeline. Anyone listed on the LMS MSDirectory may opt out at any time, or choose to remain on the Directory as a private member and not have any of their data publicly viewable. All data on the Directory belongs to individual LMS MSDirectory members and each member can log on to the LMS MSDirectory at any time to view and edit their LMS MSDirectory Profile. They can also choose which aspects of their Profile can be made public and which should remain hidden. It is hoped that as many mathematical scientists as possible will opt to remain on the LMS MSDirectory and update their details regularly throughout their careers (even if they choose to be private members and not have any of their details publicly viewable). This will ensure that the LMS MSDirectory remains a useful and current central resource for the community and for anonymised data analysis purposes with respect to the Mathematical Sciences People Pipeline. However, if you do not want your profile to feature in the LMS MSDirectory when it is first made public then please opt out by 18 April 2017. All data on the LMS MSDirectory belongs to you and you can log on to the MSDirectory at any time to view and edit your Directory Profile. You can also choose which aspects of your Profile can be made public and which should remain hidden. It is hoped that as many mathematical scientists as possible will wish to remain on the Directory and update their details regularly throughout their careers (even if they choose not to have any of their details publicly viewable). This will ensure that the MSDirectory remains a useful and current central resource for the community and for anonymised data analysis purposes. The LMS holds the copyright of the LMS MSDirectory and this is made clear on the website. What does ‘anonymised data analysis’ mean? ‘Anonymised’ means that data may be gathered from individual LMS MSDirectory Member Profiles and combined with anonymised data from a cross section of other Member Profiles to provide evidence on aspects of the Mathematical Sciences People Pipeline. Such evidence would be used to represent mathematical sciences to national policy makers. There would be no way of linking back this aggregated data to individual MSDirectory Profiles, therefore MSDirectory members would always remain anonymous in such exercises. In 2015, the Council for Mathematical Sciences (CMS) published a report entitled, The Mathematical Sciences People Pipeline. This paints a general picture, but it does not provide detailed destination information for mathematical sciences graduates due to methodology and a lack of granularity. It is hoped that, as more mathematical scientists join and remain on the MSDirectory throughout their careers, the data held on the MSDirectory will provide a rich resource for future analyses. For example, a detailed picture of the actual demand from employment sectors for mathematical sciences graduates could be obtained. Even if you decide not to make your details public on the LMS MSDirectory, it would be beneficial for the purposes of such anonymised analysis if you would remain on the MSDirectory and update your details regularly, though you would choose these details not to be publicly viewable. The LMS has put in place all reasonable measures with regard to safeguarding the integrity of its data and preventing unauthorised access to the information it maintains. These measures include authentication, monitoring, auditing, and encryption. Security measures have been built into the design, implementation and day-to-day practices of the entire operating environment as part of the Society’s continuing commitment to risk management. These measures are designed and intended to prevent corruption of data, block unknown or unauthorized access to our systems and information, as well as provide reasonable protection of private information we possess. The LMS website uses a secure server that implements secure sockets layer (SSL) technology throughout your visit to the site. If you have any additional queries about security, please e-mail: webmaster@lms.ac.uk. The LMS holds the copyright of the LMS MSDirectory and this is made clear on the website. It is also made clear on the website that any person/organisation found to be data mining the LMS MSDirectory for purposes other than those reasons for which the LMS MSDirectory has been set up, may be considered to have breached intellectual property/data protection legislation leading to prosecution and sanctions by the Information Commissioner’s Office (ICO). To minimise data mining for purposes outside of approved use, the LMS MSDirectory has been structured to operate in such a way as to make it as difficult as possible to data-mine on a wholesale basis. For example, email addresses will not be listed on any full results page but rather only on an individual detail page. The LMS MSDirectory has been pre-populated with the names of approximately 5,000 mathematical scientists who were in UK academia, as of 31 March 2015. This is not a complete list and anyone not on the list is invited to apply to join the LMS MSDirectory. Pre-populated information held on the LMS MSDirectory was gathered from publicly available sources as of 31 March 2015. If you have received an email asking you to check your LMS MSDirectory Profile, your basic contact details will have already been entered into the LMS MSDirectory. The current list of 5,000+ names in the LMS MSDirectory comprises people who have a mathematical sciences degree and who are working in one of the many disciplines that could reasonably be identified in UK higher education institutions. The majority of these names, though, are attached to a mathematics or statistics department/school/college. All members of the London Mathematical Society, regardless of their employment/study status, will already have a LMS MSDirectory Profile that contains data from their LMS Member Profile. To be registered on the LMS MSDirectory you must have an email address. As a first step, the LMS MSDirectory has been pre-populated using information for mathematical scientists employed in academic roles, as these were readily identifiable from information already in the public domain. However, the LMS is keen that other groups of mathematical scientists are encouraged to join as soon as possible, to include those with a mathematical sciences degree working in all areas outside of academia as well as all mathematical sciences undergraduate and postgraduate students. Mathematical sciences students are particularly encouraged to join and to remain on the LMS MSDirectory throughout their careers. It is hoped that the LMS MSDirectory will be viewed from an early career stage as the ‘home’ for all UK mathematical scientists, regardless of where they work or study. In particular, should they move abroad, it is hoped they will update their details to maintain an active LMS MSDirectory profile. What are the LMS MSDirectory Membership Criteria? No. You do not need to be a member of the London Mathematical Society to join the LMS MSDirectory. What if I am already a Member of the LMS? To review your MSDirectory profile, please log in the LMS website using your LMS Membership log in. You can also click on the MSDirectory Profile tab on the LMS website to log in. Please choose which aspects of your profile you wish to be publicly viewable for the purposes of the LMS MSDirectory. You may already have viewed your LMS Member Profile for the purposes of the 150th edition of the LMS Members Handbook but please re-check your details for the LMS MSDirectory. What if I am not a Member of the LMS? To review your MSDirectory profile, please log in the LMS website. You will need to use the email address, to which the initial notification email was sent, to log in plus a password. If you do not have a password, you can use the onscreen tab “request a new password” to enter your email address and receive a one-time link to your profile, where you can set up a password. Your profile will then be displayed with various tabs for your various categories. Click on the Edit tab to check or edit your entries. 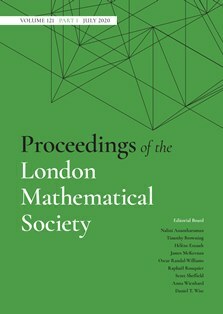 How do I join the London Mathematical Society? Who will be able to use the data in the LMS MSDirectory and what can they search on? The LMS MSDirectory will be an open MSDirectory strictly for the aims stated in the section ‘What are the aims of the LMS MSDirectory’. It is anticipated that LMS MSDirectory users will primarily be LMS MSDirectory members themselves, academics in other disciplines, and interested external organisations seeking to partner with mathematical scientists for research and other purposes. Any third party wishing assistance to undertake a large search, which relates to one of the purposes for which the LMS MSDirectory has been set up, should contact msdirectory@lms.ac.uk. Such searches would be subject to the Society’s Data Protection Policy and Privacy Notices. Please note the Society’s LMS MSDirectory Guidelines regarding data mining. 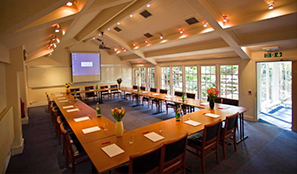 Information available through the LMS MSDirectory may be used only for the purposes stated. LMS MSDirectory members and users are expected to exhibit the same level of respect for others in this forum as in any other LMS context. LMS MSDirectory members are asked to keep their details up to date and to review their entries and privacy settings regularly. The LMS will send annual reminders to LMS MSDirectory members to review their details. Use of the LMS MSDirectory for any commercial, public or political mailing is strictly prohibited. Uses that inaccurately imply endorsement, approval or sponsorship by the London Mathematical Society, its members or its staff. Uses that can be confused with official communications of the LMS, its members or its staff. Activities that violate the stated uses of the LMS MSDirectory. Postings of obscene materials or use of obscene or vulgar language of any kind, as defined by the LMS, hate speech or harassment, or use of abusive or threatening language of any kind, will constitute a violation of the Terms governing the use of the LMS MSDirectory. Creation of profane, fraudulent, or obscene aliases. Data mining for any of the above reasons.